Electronic+Fruit Wall is a participatory installation that transforms the natural into the artificial, the physical into the digital. 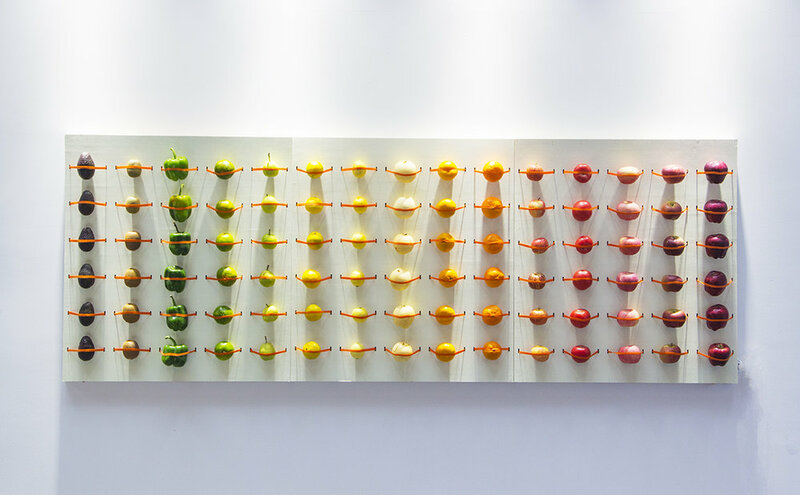 The installation is comprised of two parts: a fruit wall and an LED pixel wall. The former constitutes a color gradient made of fruits of different colors and textures, highlighting the order underlying the seemingly unorganized natural world and recontextualizing the behavior in nature-picking fruits-in an artificial setting. 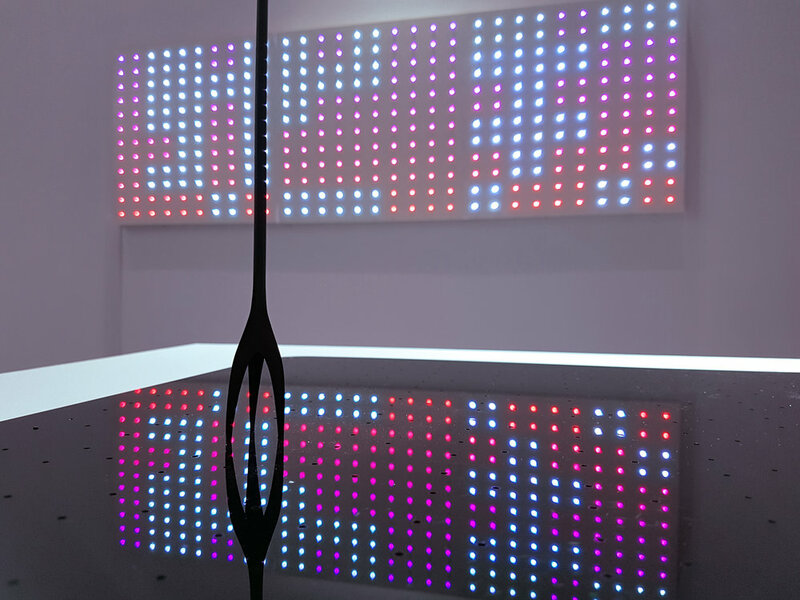 The latter, the LED pixel wall, resonates with the former. When a fruit on the former is picked, four LED pixels of the corresponding spot on the latter will change and then gradually shift their colors. This juxtaposition between the tangible and the intangible alludes to the ways the virtual and digital has permeated and represent our daily life under big data era nowadays. 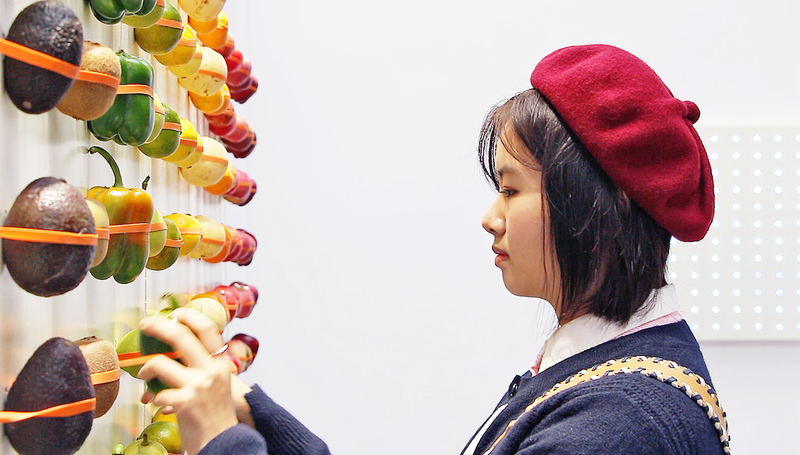 in Fruit Wall, HE+HU relocates traditional fruit picking in an interior environment where the colors, scents and textures of fruits are emphasized through a graphic inspired display and joyful interactive process. 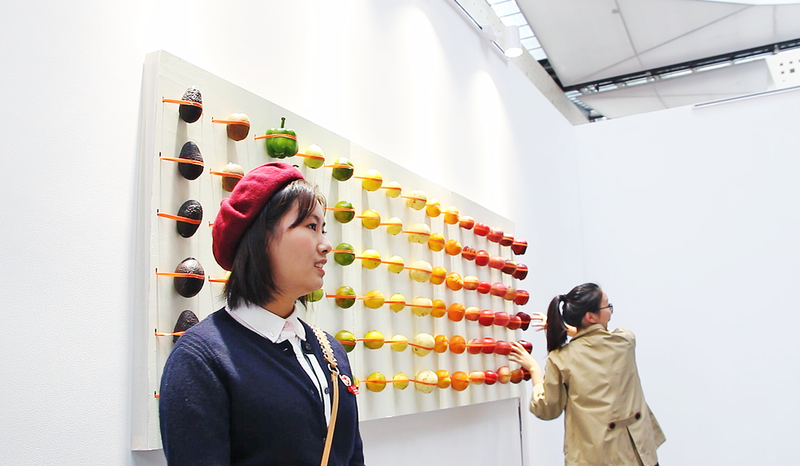 The color gradient suggests a musical movement, which tends to change when people start "picking" the fruits. The project is also an attempt to bring a new perspective to the everyday food consumption and isolate it into an abstract visual experience.